Awhile back I wrote frustrated with the timekeeping of my PAM 590. Long and short it experienced the rapid time gain reported with the p5000, as well slowing at the end of 8 days, and sometimes failure to make it to day 8. After 3 trips to PASC I was not any better. Fast forward and I now give it a full wind 2x a week. It runs very consistent and gains about a minute a week with no more wild swings. I know this is not how the 8-day movement was intended to be used, but it works for me. I am interested in the experience from other p5000 owners. Thank you in advance. 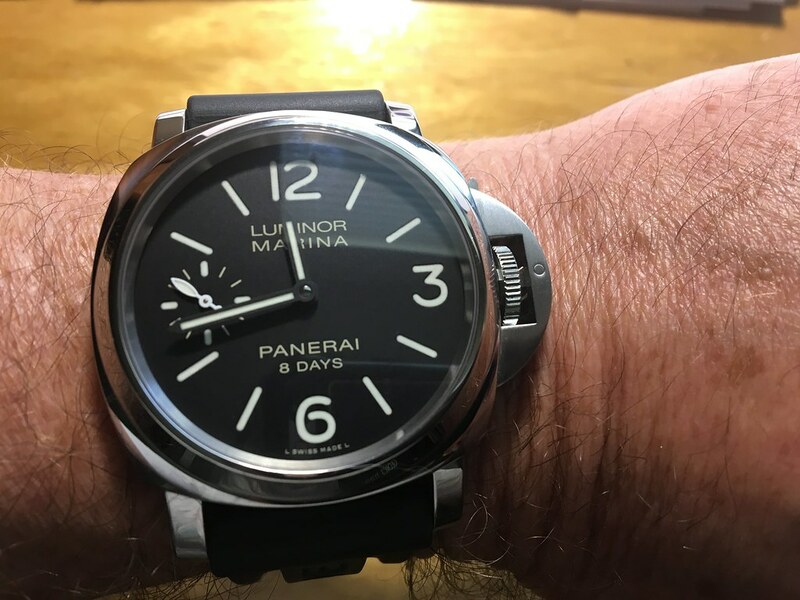 I have a PAM 510 8 Day, bought it to have one Panerai in my collection with OEM movement, and the unique crown lock. (Now that I do not know any watchmakers I am beginning to appreciate ETA movements) Anyway despite some reports I read about timing problems my watch stays right on and I wind it once a week. YMMV.